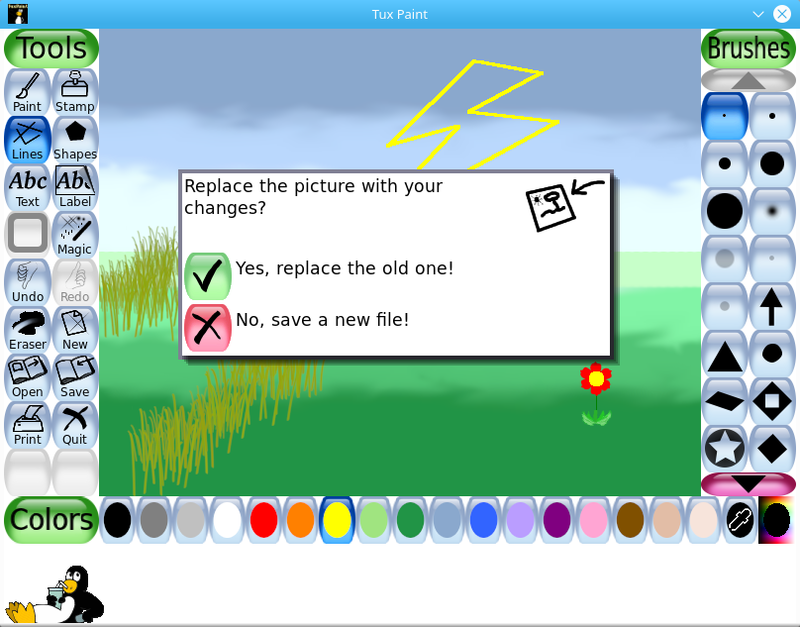 “Tux Paint is our 3-year-old son's favorite activity. It's been an amazing creative outlet for him--he loves to make up stories while he draws. We've been impressed at how intuitive and fun it has been for him.” — Ashley L.
Children are never presented with more than simple Yes/No dialogs. Did you know? Tux Paint runs right on your computer, and doesn't require Internet access.